With the advance of technology, we can fetch a wide range of wonderful songs on internet. Someone wants to download them, but it turns out that some music can’t be downloaded in an easy way. In this way, it is necessary for us to have an easy-to-use recorder to record internet audio. Now let me introduce three internet audio recorders for you. You could search on Google with the keywords "free online audio editor", then you will find quite a few websites that provides you free online audio editor tools to edit audio files online for free. For your convenience, we’ve collected 5 free online audio editors here. Audio Expert is a simple and free online audio editor, file converter and sound recorder. All the standard functions of that audio editor provides you with an easy way to create ringtones for your cell phone. You will find Audio Expert a useful and also powerful audio file converter which will allow you to modify file formats, bit rate, frequency, etc. If your computer is equipped with a camera and microphone, you can use Audio Expert to record your sounds. Vidtunez is a free online audio editor which has four main features: 1. Repeat a YouTube video clips. 2. Download and convert non-copyrighted YouTube video clips into MP4/FLV (1080P supported) or MP3 file format. 3. 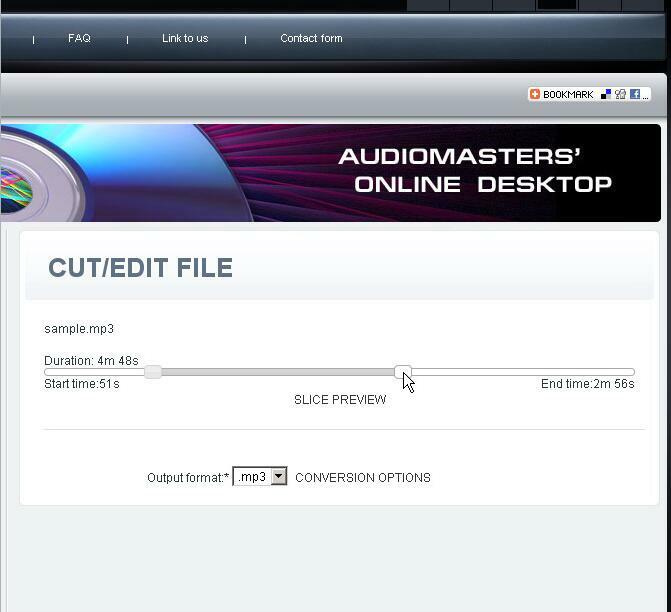 Help you to edit your downloaded audio or your local audio files. 4. Repeated playlist which you can assign the video from YouTube and the number of repeat in each video of playlist items. Twisted Wave is an online audio editor free. You only need a web browser to access it, and you can use it to record or edit any audio files. All the audios will be stored and processed on the server, so you don’t need to download anything, or save your recording when you are done. Close your browser window and your recording is saved. Open Twisted Wave somewhere else, and all your audio files, with the complete undo history, are still available. 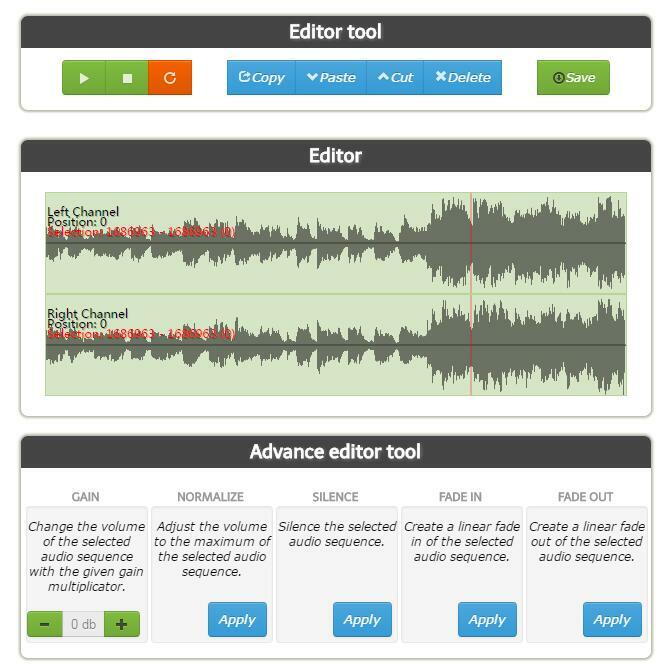 It is a free online audio editor that can cut audio in your browser. Supporting over 300 file formats, it can add fade-in and fade-out effects to the produced audio, also can preset ringtone quality. Furthermore, the editing process is absolutely secure, with only you having access to the file after it is uploaded. And it allows you to extract the audio track from a video. 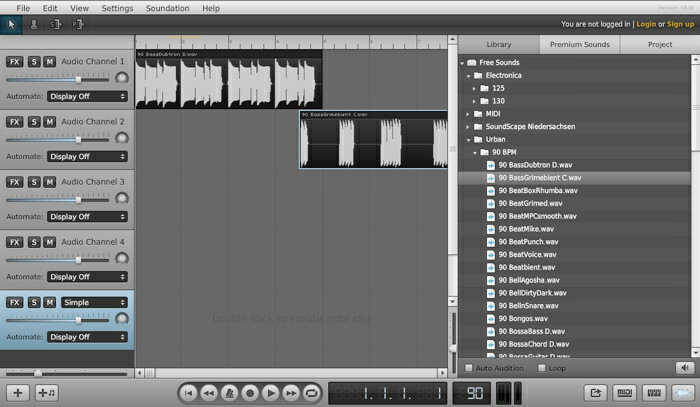 Soundation Studio is a tool for editing music online with powerful features. It comes with complete features to mix your sound, alongside a bunch of sound effects, loops, and virtual instruments. Just mix your song up and publish them by using that audio editor online free. 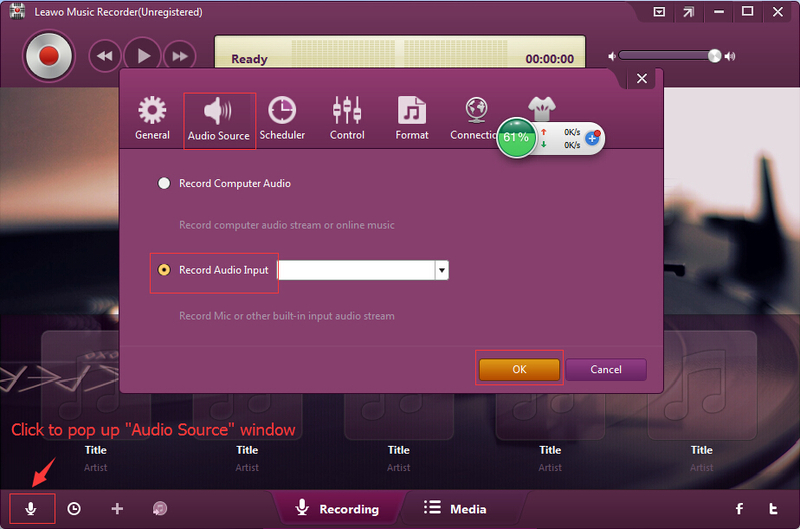 By contrast, if you do not want to use online audio editor free, please use this software, Leawo Music Recorder . It is software that can be used for recording offline, and recording makes everything easy. If you want to cut some parts of an audio, just record them. Certainly, it can produce audio parts of MP3 or WAV format, allow you to edit audio tags and adjust audio parameters as well. Besides, it allows you to add what you have produced into your iTunes by one click. Download and install Leawo Music Recorder. Now, let me tell you how to edit (cut) an audio with a Leawo Music Recorder. 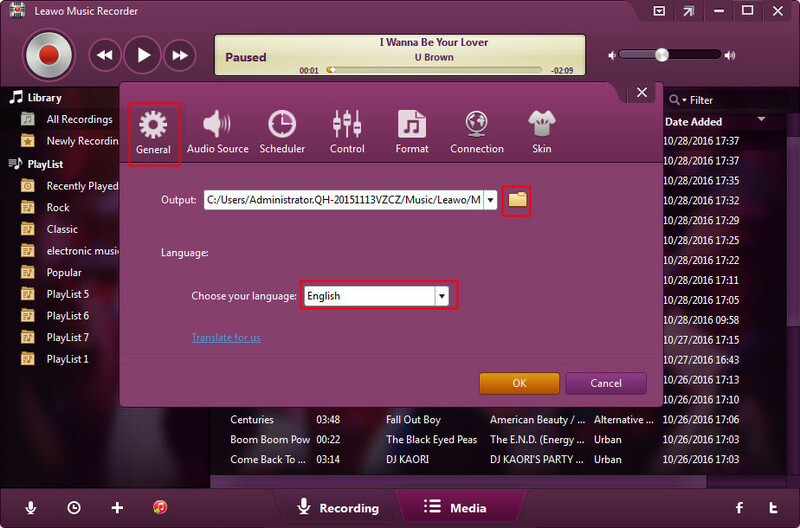 After the completion of downloading Leawo Music Recorder, install it to open it, and close the trial-version-using reminder window, and then click the microphone-shaped button on the bottom left corner, which will present you a window showing the available audio source option. Because you need editing a piece of music, choose the "Record Computer Audio". Because you need to choose a place to put the produced audio, just click the "General" to choose a proper folder in which your recording can be put. Next, in that there are two different formats available for you, you need to click "Format" to choose the one you want. Moreover, there comes a highlight. 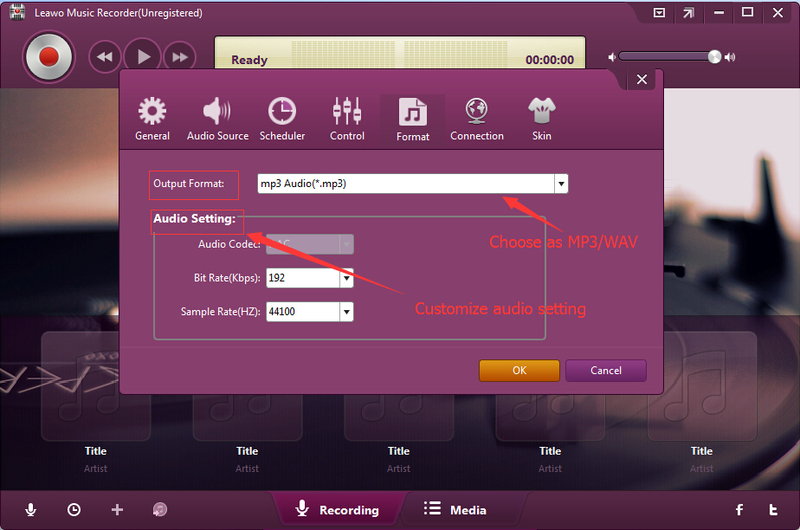 You can adjust the audio parameters. One is that you can set the bit rate of the audio that will be produced, another one is the sample rate. So according to your settings, the audio produced later on will be edited as different from the original audio. Please play what you want to cut down, and then click the recording button on the upper left corner. Thus, the editing (cutting) begins. When you think it shall end, just click that button again. Then, a newly produced audio will emerge as a "track". Now you can double-click it to play it to enjoy your recording. You can also check your recording in the "Media" column. Here I tell you the third highlight of this software. If you have produced many different recordings, you can improve their information by editing their music tags. Just right click one of the recordings, and choose "Edit Music Tags", and then fill in the blanks, such as "Title", "Artist", "Album", etc. Finally click "OK". The fourth highlight is that if you right click at least one of your recordings, you can choose "Download Info" to automatically edit the music tags. That means you can download the relevant information of recorded audio. If you’re using a Mac computer, Leawo Music Recorder for Mac could help you easily convert YouTube to MP3 audio on Mac OS 10.6 and later. You have known from the above that online audio editor free need network connection all the time. By contrast, Leawo Music Recorder doesn’t need this, but downloading and installation. 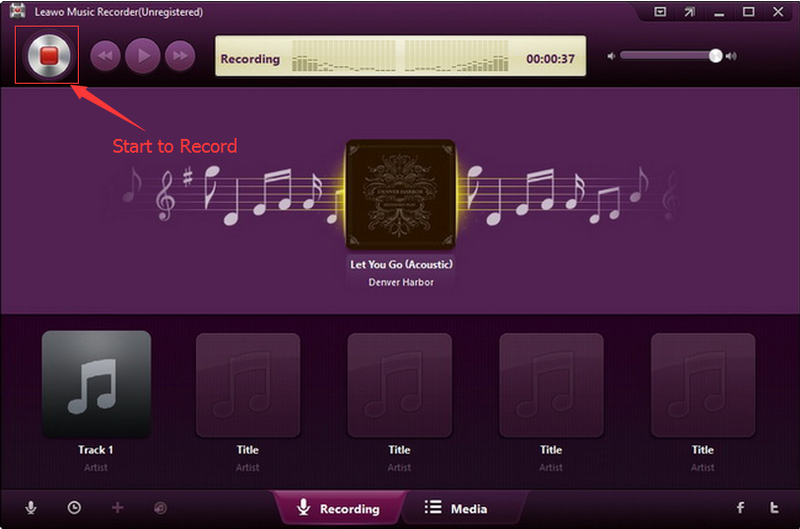 Secondly, Leawo Music Recorder has an auto-editing function, while the audio editor online free does not. 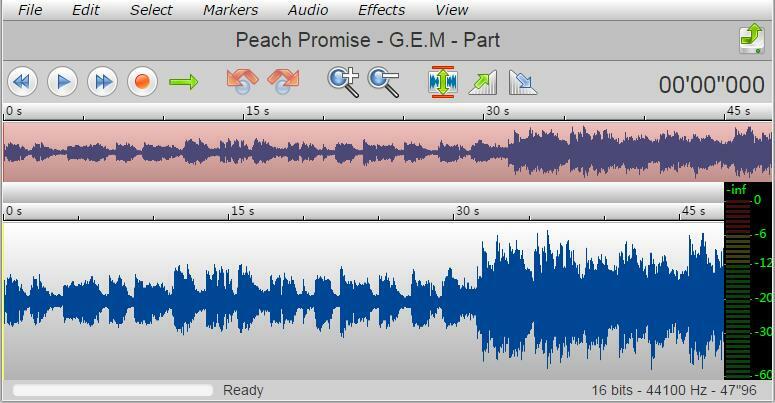 Thirdly, you can only manually edit the name of your recording, after downloading from the free audio editor online. 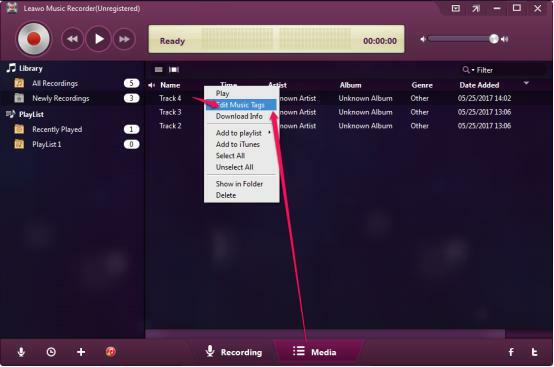 While using Leawo Music Recorder makes you edit more information of your recording. Fourthly, few online audio editor free have a function of audio compression/improvement, while Leawo Music Recorder can compress/improve audios by changing the bit rate and sample rate. All in all, I think Leawo Music Recorder is more useful than free audio editors online.